Water cannot be organic according to standards stating that it cannot be. Organic, when used to refer to food and drink, refers to the farming practices of agricultrural products and as water is not an agricultural product it can not be described as organic. As a result there have been a number of brand name changes recently due to an Australian Competition and Consumer Commission (ACCC) directive for water companies to remove ‘organic’ claims from their labeling and branding. The ACCC rejected a number of claims from manufacturers claiming the word ‘organic’ was not a representation but part of their brand name. “Organic standards acknowledge that water cannot be organic. Any claim that particular water is organic would therefore be misleading or deceptive, and manufacturers cannot hide misleading claims in their brand name,” Delia Rickard, ACCC Deputy Chair said. The manufacturers identified have already begun supplying bottles with amended labels. The ACCC said it expects that organic claims will soon have largely disappeared from the labels of bottled water at retail outlets. 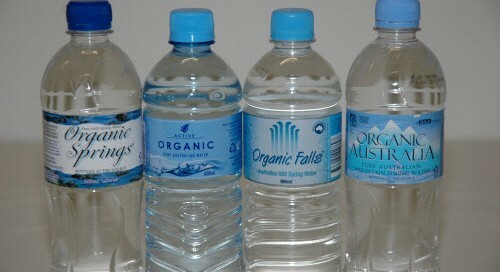 The ACCC has called on consumers who see brands of bottled water featuring organic claims to contact the ACCC and retailers who still have stock should contact their distributors. The ACCC will continue to monitor the progress of the changes and will “engage further with retailers and manufacturers if further work needs to be undertaken”. Yarra Valley Water’s ‘Choose Tap’ program engages the community on drinking tap water as an important element of a healthy lifestyle and as a much cheaper and environmentally friendly alternative to expensive bottled water and other plastic packaged drinks. Melbourne is reputed to have some of the best drinking water in the world, yet each year Australians spend more than $500 million on purchasing bottled water. However it’s the plastic waste that ends up in landfill, waterways and oceans that causes the most harm. The environmental impact of this waste is huge and is killing our bird and marine life who mistake it for food. The average length of time it takes for a plastic bottle to break down is 450 years. Following a customer survey, Yarra Valley Water found that people were frustrated by a lack of accessibility to tap water when they were out and about, which is why many purchased bottled water. The findings showed that the public would happily drink tap water if it was more readily available in public spaces. Armed with this information, Yarra Valley Water looked at ways to meet customer demand by providing easy accessibility to good quality drinking water when they’re out and about. This launched the ‘Choose Tap’ initiative, a program all about choice – the choice to easily use and access free, good quality drinking water and the choice to live a healthy and sustainable lifestyle. Yarra Valley Water set about researching a number of products that would fill the brief to conveniently supply quality drinking water to the public while promoting the smart choice message – and chose the aquafil™ product range of Water Refill Stations. They met and exceeded the brief by offering a range of options such as filtered and non-filtered water, meters to track usage, dog bowls and by being wheel chair accessible. Promoting the Choose Tap message, while keeping people and animals hydrated and healthy, what a bonus! “We chose aquafil because of the quality of the unit. It will be able to endure the harsh public outdoor environment and withstand the test of time,” says Kelly Berghella, Program Manager, Customer Programs at Yarra Valley Water. Yarra Valley Water has since worked with local councils to install 25 aquafil units to supply the public with drinking water across its service area. 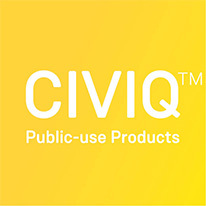 They can be found at recreational spaces such as ovals and walking trails, shopping precincts, hospitals, universities and TAFES, providing the community with a free, convenient and environmentally friendly way to stay healthy and hydrated. Yarra Ranges Council was the first council to partner with Yarra Valley Water to install a Water Refill Station in its municipality at Lilydale Lake. Visitors to the Lilydale Lake aquafil unit have since consumed 64,450 litres of tap water over the past two years equating to 184,143 plastic 350ml drinking bottles. That’s a lot of bottles saved from landfill. The Choose Tap program also sees Yarra Valley Water partner with local sporting clubs, fun runs and festivals promote its message, with the aquafil Portable Water Refill Stations branded as Portable Hydration Stations. It doesn’t end there; local cafes and restaurants are now promoting ‘Choose Tap’ with the use of ‘Choose Tap’ glass bottles for patrons. Schools are also coming on board with a fundraising initiative to sell Choose Tap reusable water bottles – a much healthier and long-lasting alternative to chocolate bar fundraisers. Melburnians can sometimes take their quality tap water for granted and forget about the negative impact bottled water has on our pockets and our environment. With 25 aquafil Water Refill Stations now installed and 24 more due to be rolled out over the second half of 2013, Yarra Valley Water is leading the way in helping to promote a healthy lifestyle and create a better environment for tomorrow.